Dan Meredith encourages everyone to find a mentor, simply because no one makes it on their own. Most successful people arrived where they are just because they’ve been lucky to have a good mentor. 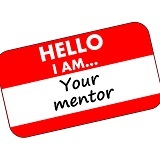 Find a mentor by looking at people around you, at successful businessmen in your area, and at Facebook groups. Write the person a letter with your story and why you think they will be a great mentor for you. In most cases, people pay for mentors, but it does not have to be money—you can pay with your work or in another way.